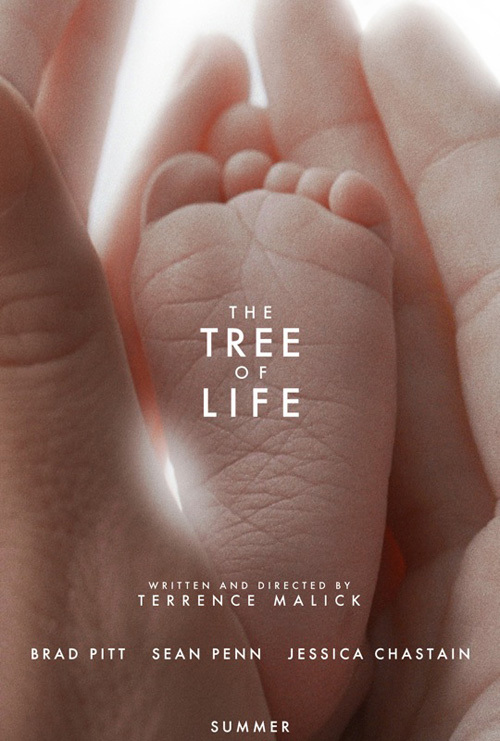 Trying to write about The Tree of Life is like trying to sum up the enigma of life itself: joy and suffering, birth and death, creation and destruction. It’s better watched as a poem than a novel. A glimpse of human existence through a single life beginning in happiness and pure joy, losing innocence and trying to get back to that place of grace. I’ve never been more caught up in a film, like I completely forgot who I was and was literally seeing the world through new eyes. It opens with this profound line, contrasting the two ways to move through the world, and continues to display these clashes personified through a father and mother. Where were You? You let a boy die. You let anything happen. Why should I be good When You aren’t? Are You watching me? I want to know what You are. I want to see what You see. The images feel abstract at times, the first time I watched it I was trying to figure them out too much, using my head instead of my heart, and I got frustrated towards the middle. The second time watching it I simply chose to be in the story, and I got the feeling like all the images were placed precisely to invoke deep longings, nostalgia, and emotional response. The imagery and meaningful lines that were spoken found their way into my soul, and I know it will continue to speak to me for years to come.